Have you ever felt like cleaning your home in Richmond is the last thing you want to do? It is not uncommon to feel this way, as work and other duties can really drain you and take your free time. Fear not, because you can now take full benefit of the domestic cleaning services we offer at Top London Domestic Cleaners. Our portfolio has extended over the years and now features important services like oven cleaning, sparkle cleaning and even mobile car valeting. Our company is highly experienced and offers a wonderful solution for your domestic cleaning in Richmond and many other London areas. The best aspect of hiring Top London Domestic Cleaners is that your schedule is freed from this painful chore. Our cleaners can come to your property when you wish and clean instead of you. In doing so, they will essentially refresh the environment in your home and make it so that it stays sanitised without investing time and effort into this. This presents great opportunity for you to use your time however you wish. By calling 020 3322 8143, you can get the best quote on domestic cleaning in Richmond. It is all it takes to hire the best experts in the industry. 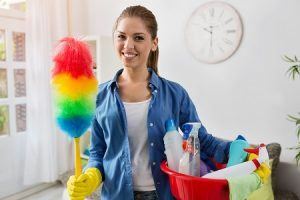 Apart from having more time for yourself, you can bet that our services will actually get your home to a clean state that you haven’t seen before. Thanks to our professional cleaners, you can bet that the outcome of the work will be flawless. 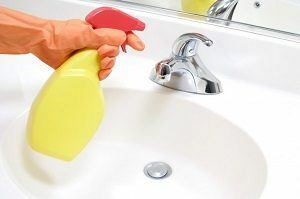 Any area of your home that you desire will be fully cleaned and made to shine. You will not believe your eyes upon opening the door. Such standard is really hard to achieve for others, but Top London Domestic Cleaners have it ready. Take advantage by calling 020 3322 8143 today. Richmond is a town located in the London Borough of Richmond upon Thames, located in the south-west part of London. The area sits on a meander of the River Thames, and is notable with its many parks and open spaces. Previously part of Surrey, this is now a notable retail and commercial centre of London with largely developed day and evening economy. Richmond Green is among the most popular features of the area. It is regarded as one of the most beautiful urban greens in entire England. The green is known for its history of sporting events as early as the 16th century. Richmond Hill is another great outdoors area, which provides a breathtaking view westward to Windsor. Other than that, Richmond is well-known for the Riverside Gallery, featuring a year-old programme with local artists. We provide the best domestic cleaning in Richmond – see for yourself and book a service with us on 020 3322 8143.